This outfit just screams the beach, which really makes me wish I was there right now.. But on a serious note these pants are everything. They're super comfy and perfect for a casual day of running errands. I will also be packing these on every beach trip I go on this summer! 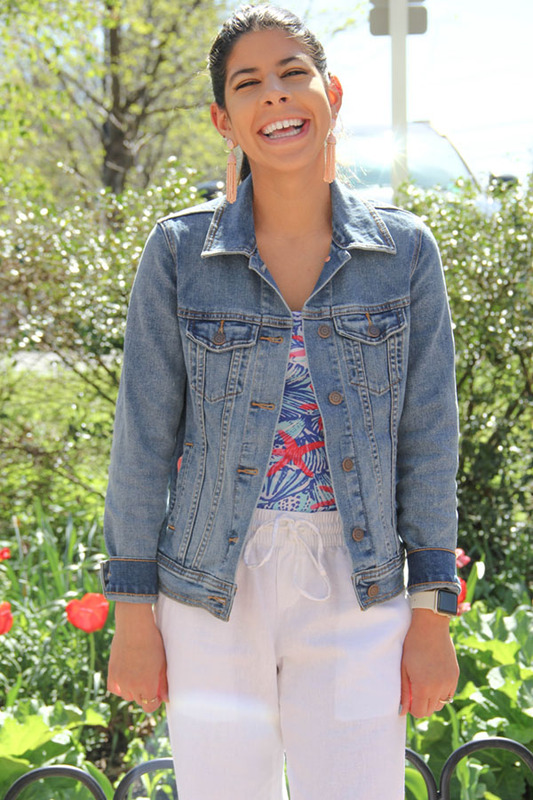 I wanted to add some color to the look, so I paired it with a Lilly tank and jean jacket for the breezy weather. 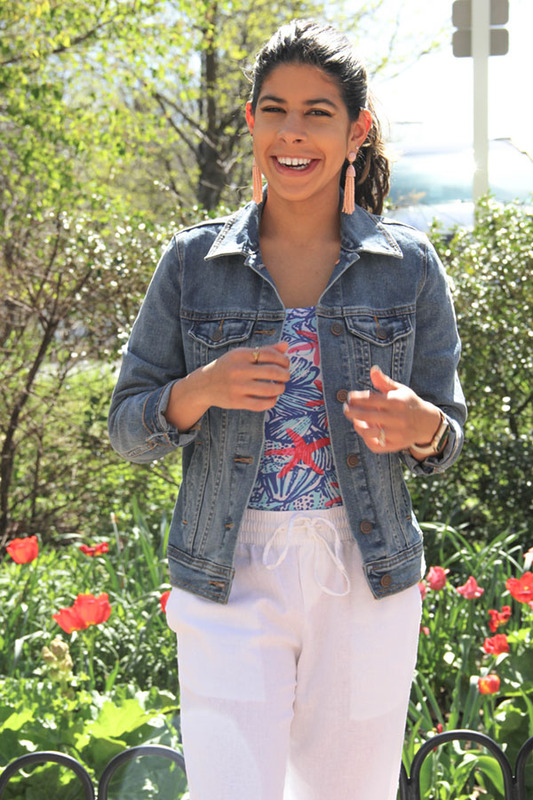 These adorable tassel earrings finished the look off perfectly. Linen-Blend Pants -- Come in two other colors!